SHUR-TRIP traps come in different sizes and with different specifications. Information about each model can be found on our price list page. 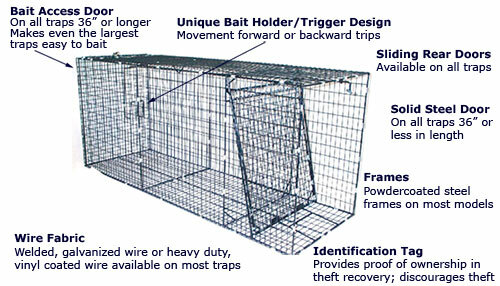 The model shown below and Model 311 are pictured on our web site to give you some idea of what our traps look like. Please also take a moment to see our animation of how the traps work; our unique trigger mechanism is what sets these traps apart from all others.